By now many have heard that the proposed Senate GOP “repeal and replace” health care bill is dead after some Senate Republicans could not support it. However, the bad news is that Senate Majority Leader Mitch McConnell says they will now pursue a vote to repeal without replacement. McConnell announced last night that the vote— which is expected to fail — will occur next week, at President Trump’s request. What does this mean for North Carolina? 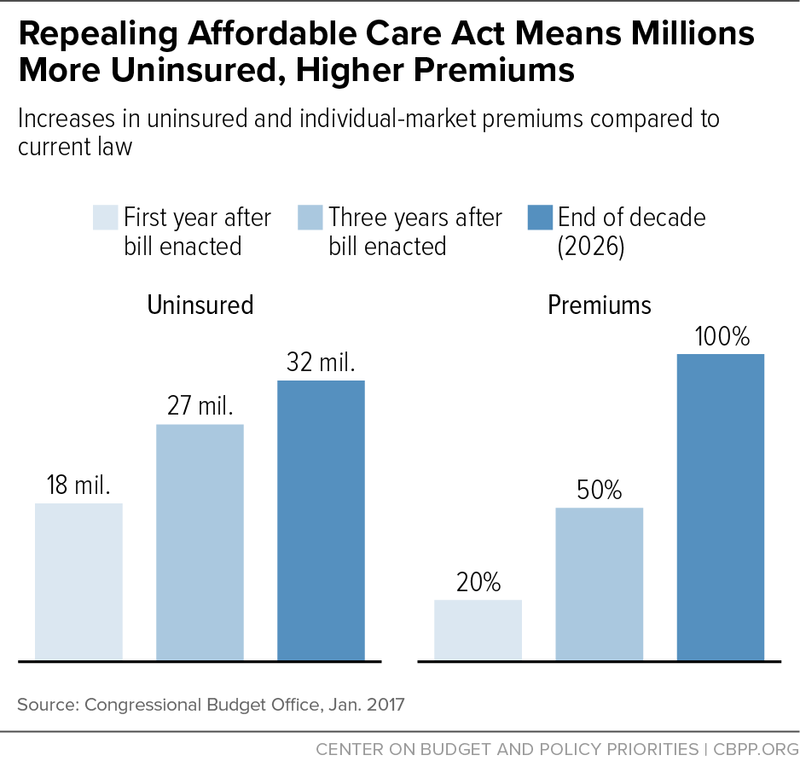 If the Senate proceeds to repeal the ACA without a replacement, the number of uninsured North Carolinians would rise (and double) from 1.1 million to 2.1 million in 2019 alone. Furthermore, Federal government investments on North Carolina’s health care would be reduced by $1.6 billion in 2019, and by $59 billion from 2019 to 2028, because the Medicaid expansion, premium tax credits, and cost -sharing assistance would be eliminated. This type of negative impact on the state’s most vulnerable and on the state’s budget is dangerous considering we recently reported that North Carolina is not on track to achieve its 2020 health objectives, and that the legislature’s Fiscal Research Division has projected state budget shortfalls of $1.2 billion to $1.4 billion in fiscal years 2019-20 to 2021-22. Based on the facts, it is clear that NC’s two U.S. senators should support the idea of starting from scratch with a different, bipartisan approach that leaves Medicaid aside and focus on making real improvements to marketplace stability and affordability. We now know that it would not be in North Carolina’s best interest to see the GOP health bill, or elements of it, arise down the line and in other forms. What would “Repeal without Replace” do? Completely end expansion as of Jan. 1, 2020. There would be no phase-out and no statutory option for states to keep their expansions, even if they could afford to do so at regular match. Completely eliminate the ACA’s tax credits and cost sharing subsidies – with no replacement – as of Jan. 1, 2020. What would the consequences of “Repeal without Replace” be? Coverage: 18 million people would lose coverage in 2018, 27 million would lose coverage by the early 2020s, and 32 million would lose coverage by 2026. Individual market stability: By the early 2020s, about half of U.S. population would live in areas with no individual market insurers, increasing to 75 percent by 2026. Essentially, the individual market would collapse in most of the country.